Most of us walk around each day with one of the most powerful communication devices within reach at all times: our smartphone. But while it may let us check in to locations around the globe and post instantaneous selfies to five social networks at once, you might not be using it to help strengthen and keep the family connections that really matter. Here's a round-up of some great smartphone photo sharing apps that let you keep in touch with those that really matter away from the noise of typical social media and in a more organized fashion than random emails & text messages. Aimed at simplifying sharing for the not-so-techy family members (a.k.a. grandparents? 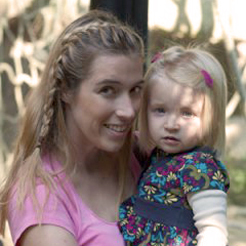 ), Togethera is a private messaging & photo sharing site for small family clusters. You invite people to join your little family cluster personally, so no larger social network to worry about! You can access the site via the app (for phone or tablet) or on the web. COST: Free. 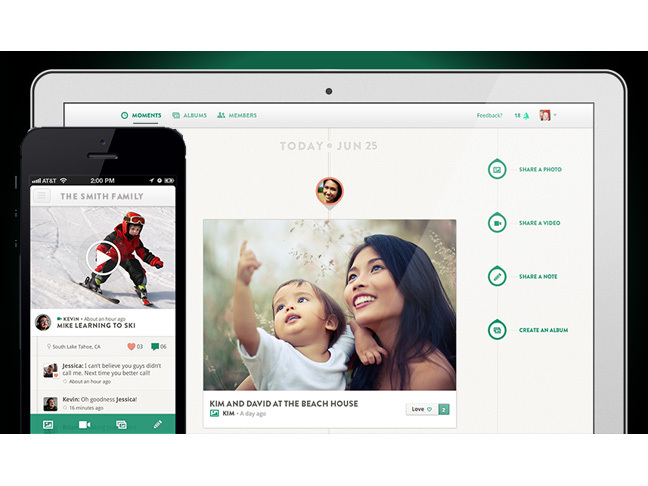 If you're looking for a comprehensive place to store all family photos, videos, and stories and share them with others, then eFamily might be the answer for you! You can organize your photos in albums, and even get a newsletter with all updates delivered daily to your inbox. eFamily has access for everyone from their smartphone app or the web, and is secure on its own servers with Dropbox backup available. COST: $5/month ($50/year)—only one family member pays for the membership. 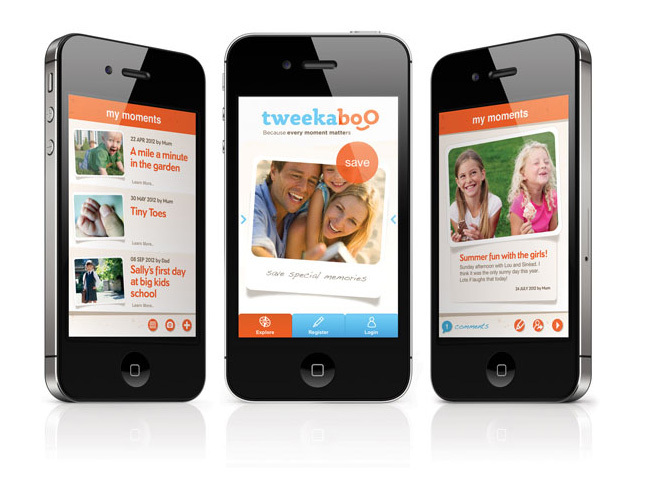 If you're looking to create a private diary for your immediate family but let others look in and comment, then Tweekaboo is a great option. 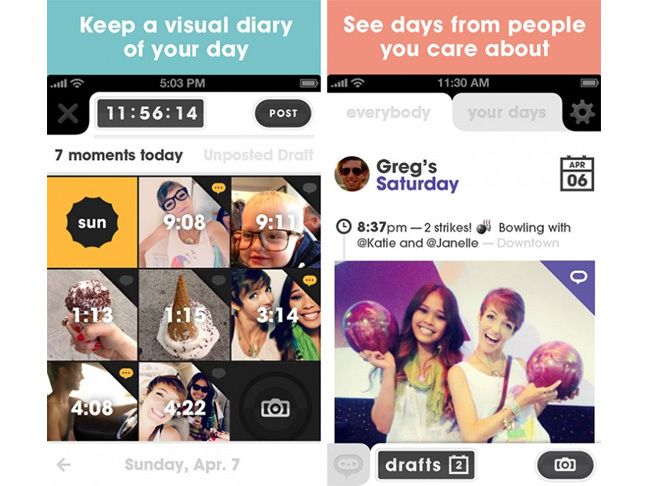 The app allows you to create diary entries with photos and videos, and then share each entry with specific people. Great for those moments where you want the grandparents to cheer on potty-training success, but don't need to share it with distant cousins or your best friend. As an added bonus, you can physically print the journal entries and create hardbound memory books! COST: Free, ~ $40 for photobooks. Instead of giving a play-by-play of daily activities to family members each evening, you can share your photos from each day in a snapshot "Day in the Life" format using the journaling app Days. Your photos show up with timestamps from when they were snapped, and then you share those moments as a little collage of your activities. As a social network, you can then see and share these moments with family and friends, and truly show them what you're up to on a daily basis through photos. COST: Free. If the idea of sharing your smartphone photos daily/weekly/monthly with family in any organized fashion stresses you out, then GrooveBook is a perfect solution. 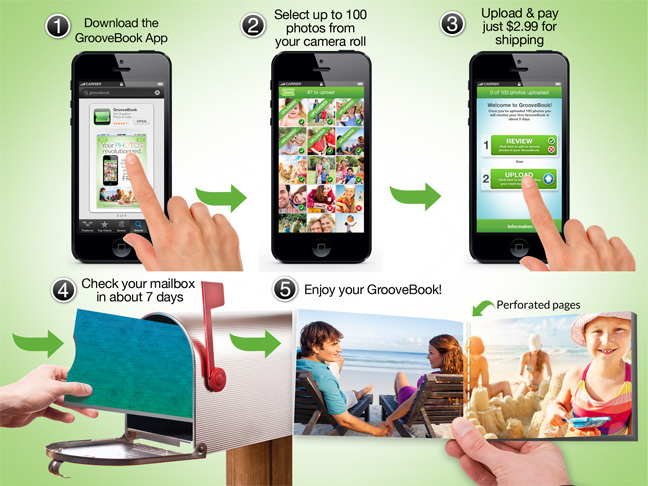 Simply open up the app and upload up to 100 photos from your smartphone, and for $2.99 GrooveBook will print and send you a softbound book of all your photos to whomever you'd like. It operates on a monthly basis, and will remind you with emails and pop-up notices that it's time to create your next book. It's about as low-key as it gets, but it certainly does its job! COST: $2.99 per book. 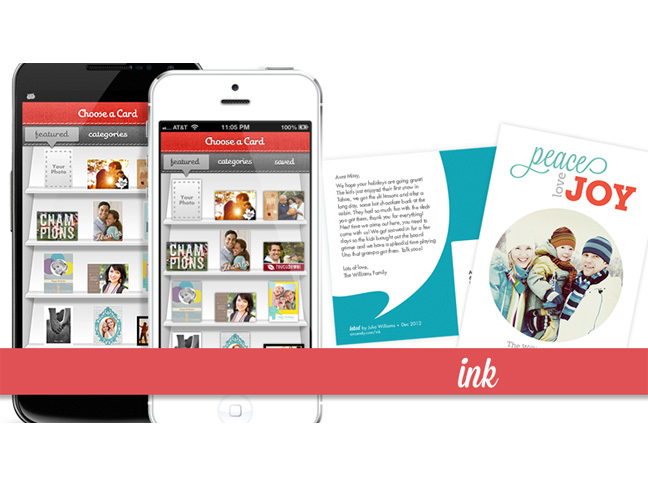 Staying in touch in the olden days meant sending mail frequently, so the Ink Cards app helps put a twist on that old-fashioned idea with new technology. You can create personalized cards with unique greetings + your photos in seconds, and have them sent in the mail with the click of a button. Just like that, they'll arrive at their destination in 3–7 days in the US, or 7–10 days internationally. COST: $1.99 each, including postage.